When it comes to long and lovely hair, length can be a challenge for some of us. Growing out your natural hair can feel like a slow journey with little to no results to show for it. Follow these tried and true 5 tips for growing out natural hair, and get the long strands of your dreams! Why would experts say the key to hair growth is in your eating habits? Because hair health starts on the inside! If you aren’t getting those essential nutrients like vitamin B, iron, and protein, hair won’t grow as quickly. Try to eat foods rich in these nutrients like spinach, salmon, eggs, and even cinnamon, and drink plenty of water. If you are dehydrated, your hair will show it. Dry hair is hair that can’t grow long and beautiful. Following the same idea that hair growth is about the foods you eat, taking certain vitamins can help hair growth. Consider a hair supplement such as biotin. Not only will it make your hair healthy enough to grow in length, it gives your nails a boost too! Other supplements to consider are zinc, collagen boosting silica, and kelp. Biotin is still the most commonly used hair growth supplement with many people reporting impressive results. Be careful before you jump on the biotin train. Before adding biotin supplements to your routine, check with your doctor. If you are pregnant, nursing, or have certain existing medical conditions, there may be concerns about adding it your supplement intake. 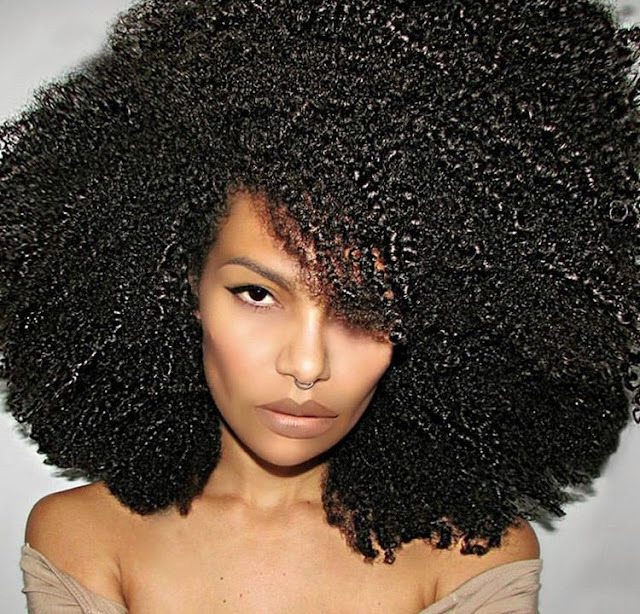 One of the most important of our 5 tips for growing out natural hair is to cut regularly. I know it may seem like the opposite of what you should do, but experts agree that regularly trimming hair can help it stay healthy. Make sure you watch out for split ends. Once these split ends show up, it is time for a trim. In fact, trims are the only effective way to get rid of split ends. It is a good idea to trim ends every 4-6 weeks or more frequently based on your hair growth. The scalp is the foundation of growing your hair out. If you have a dry, irritated, or overly oily scalp, your hair will be less healthy. You want to make sure you don’t get too much build up, so use a reliable clarifying shampoo like As I Am Curl Clarity Shampoo. For a dry scalp, consider something like ORS Shealicious Scalp Relief Shea Butter Conditioner. You should also make sure you protect your scalp from damage caused by the sun. Wear a hat or use products with SPF to help safeguard your scalp. The key to hair growth is making sure your hair is healthy. I’ll say it again; unhealthy hair just won’t grow. Part of making sure your hair is healthy is to use the right products. Your hair growth is a result of the overall health of your hair. If you are using products that are too harsh, such as certain shampoos with sulfates and other chemicals that throw hair out of balance, you won’t get the length you want. You want to steer clear of mineral oil because it coats the skin on the scalp and makes it harder for hair follicles to generate cell turnover needed for new growth. You should also be on the lookout for any ingredient listings with propylene glycol which also inhibits the turnover of healthy cells. Make sure you carefully read the ingredients and directions of your favorite hair care products.